Handles for adjusting the height of the seat allow for an open hip angle. The core mechanism enables movement in all directions up to 14 degrees. This gets you moving and stabilises your core muscles. The formed seat harmonises with the pelvic stabiliser to relieve pressure points, prevent slipping and provide additional comfort. on the CoreChair stimulates circulation and activates and strengthens the stabilising core muscles. In turn, this prevents the negative consequences that come with inactivity and a sedentary state. By working the muscles, the CoreChair also has a training effect that reduces the risk of back and neck pain. 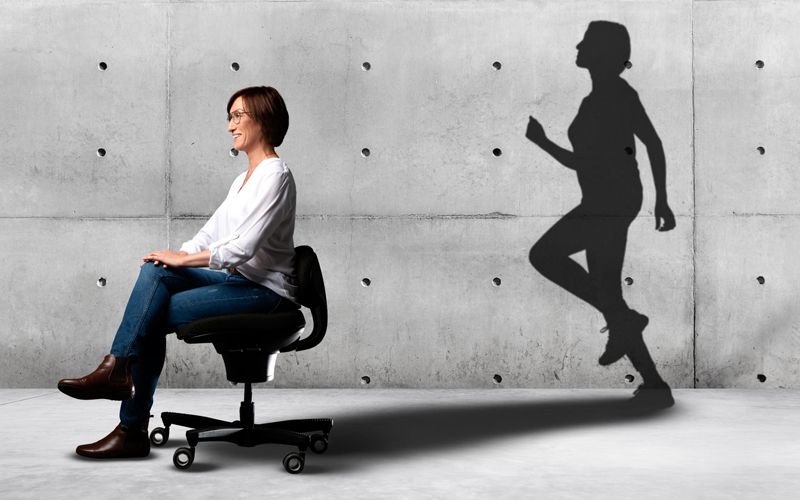 The result is a high-quality sitting solution which supports the aim of creating a healthy workplace. 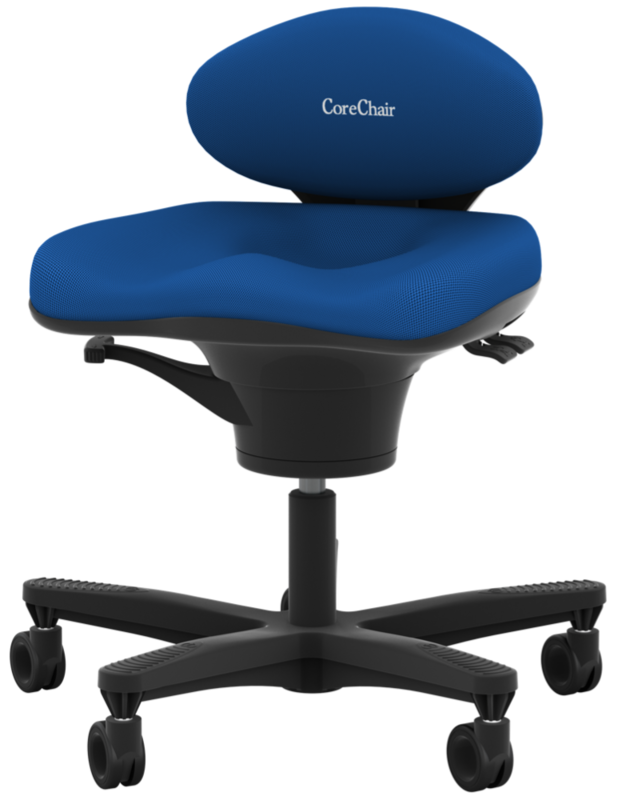 We hope tha CoreChair will make you move more often and sit actively!